The year of the Dragon 2012 was welcomed with great celebration in the Senior class this week. The year of the Dragon is an auspicious year in the cycle of the Chinese calendar, and it is a very popular year for children to be born. Unlike dragons in western culture who are considered portents of destruction and malice in eastern culture the dragon is a symbol of leadership and good fortune. The senior class being the leaders of our school decided to encourage the good fortune of the Dragon Year to come their way. 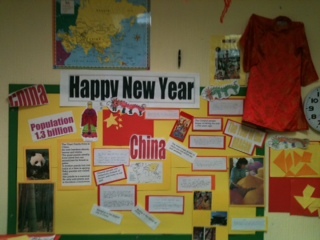 They set about their fact finding mission with a study of the country of China, its population, culture and geography as displayed on their informative project board. They explored maths and art together with the ancient form of tangrams. The seven components of the tangram, must be cut from a square, the objective of the puzzle is to form a specific shape using all seven pieces, which may not overlap. Learning how to dissect the square accurately to create the seven shapes and set them together to recreate a silhouette was so much fun they hardly realised all the maths and geometry they were revising. 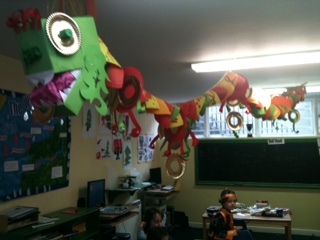 After all the fact finding, research, maths and design, the class were eager to get into the spirit of the Dragon Year and so they created a dramatic (almost life-size) Class Dragon, this will be the senior class’s talisman for the coming year. I know that luck isn’t something they are in need of as their hard work and good manners brings its own good fortune. 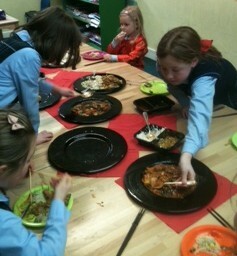 On the day of the New Year Festival itself the class had a celebration feast! What a fantastic cultural exchange it was. Chopsticks at the ready they feasted on many wonderful dishes from Chinese cuisine. A feast fit for a Sun King. The chopsticks themselves were a culinary adventure, we have often used them for transferring activities in the junior classes but eating lovely food while hungry was quite the challenge! The table was full of conversation and giggling as the children tutored each other on the art of using chopsticks to eat and share in the banquet. 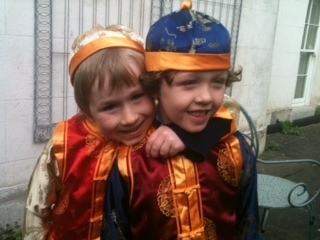 Tummies full the children went up to our secret garden to make their wishes for the coming year of the dragon. 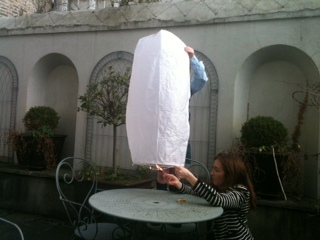 To their great surprise their teacher Ashley had brought a fantastic sky lantern to help take the children’s wishes to the sky. Another wonderous Chinese invention the Kongming Lantern originated in the 3rd century BC and is said to have inspired the creation of the modern hot air balloon. Sending our wishes to the world. 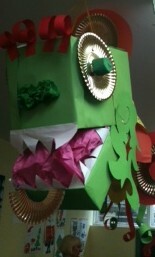 All in all the class began the year of the Dragon more learned, accomplished and culturally aware. So its true that a balance of hard work and fun does bring its own good fortune. Finally, to wrap up this New Year welcome here is our newest blogger Phoebe to give you a students eye view! 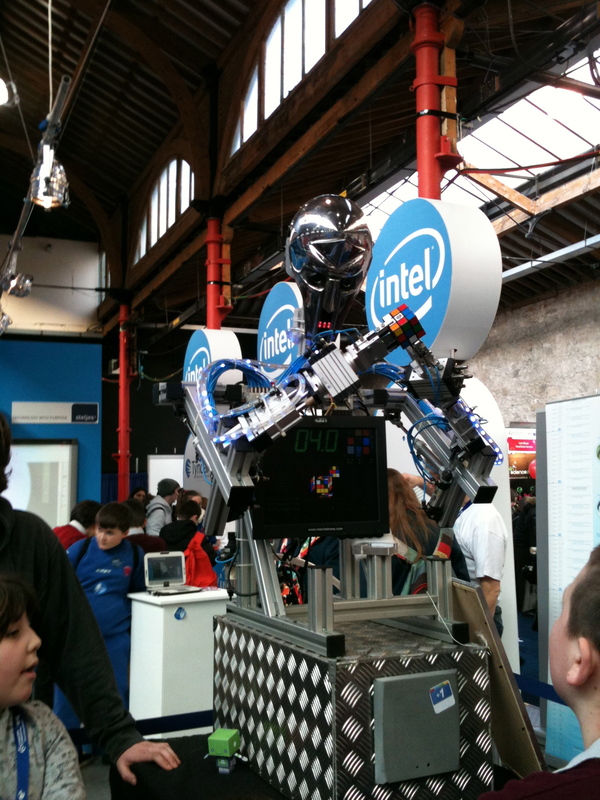 Last Thursday saw our senior scientists take a trip to the RDS. There they met up with many other budding experimenters and observed, evaluated and recorded lots of wonderful and interesting ideas. We make a date every year to go and being so close to such amenities certainly makes it easy to have a fun day trip. The annual Young Scientist & Technology Expo began 48 years ago, which is if you ask our senior class students makes it simply ancient! This year saw over 520 different projects on display, with over 1700 applicants for those coveted slots. Making it one of the largest events of its kind in Europe attracting around 40,000 visitors, among which on the day we visited was the new President of Ireland, Michael D. Higgins. We just missed him but I’m sure we’ll get to meet him soon. The learning possibilities for our students trying out the projects on display were endless and we tried their hand at quite a few. On entering the exhibition area we were met by a supercomputer robot that could complete a Rubik’s cube in record time. The Rubik’s cube has been a much-discussed stocking stuffer this year and the students were amazed at the robots ability to analyse and complete the formula so quickly. It certainly left them eager to get home and challenge themselves to do the same. Surgeon General in the making. 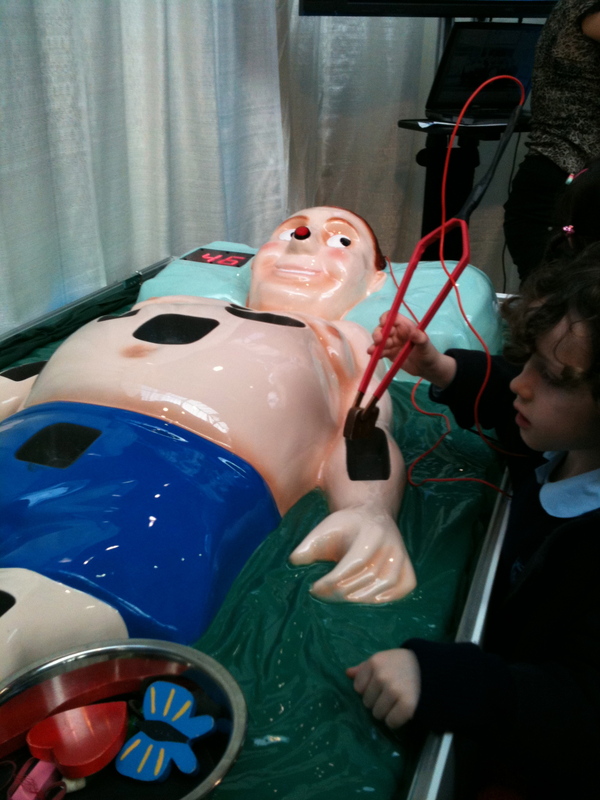 Another favourite was the Giant Operation. The Christmas family game of old was revamped and resized manifold and our young surgeons had great fun competing for the steadiest hand in Hedley. All that practical life from their younger 3-6 days paying off as they extracted body part after body part with precision. As if the tension of steady hand surgery wasn’t enough they found a really tense experiment. Yet again a steady hand and nerves of steel were required as the children worked in pairs. 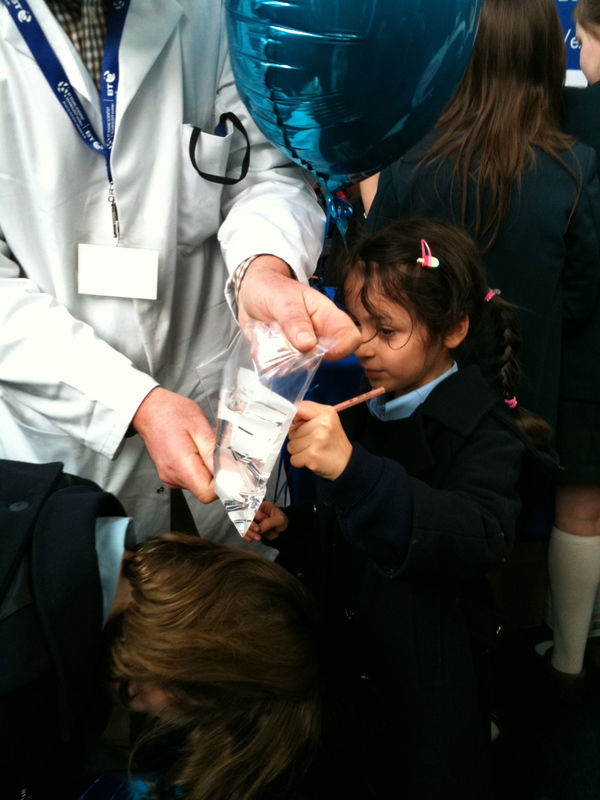 The exhibitor held a plastic bag of water over one child’s head as their partner pierced the bag with a sharp pencil, pushing the pencil the whole way through. Waiting for a shower the student beneath the bag was surprised to find that not a drop was spilled! Why? The plastic bag is made out of long chains of molecules called polymers. This gives the bag its stretchy properties. The sharpened pencils slip between the molecule strands without tearing the entire bag. Believe it or not, the long chains of molecules seal back around the pencil to prevent leaks. We attempted 14 pencils until the poor polymer strands gave up and the bag finally burst. 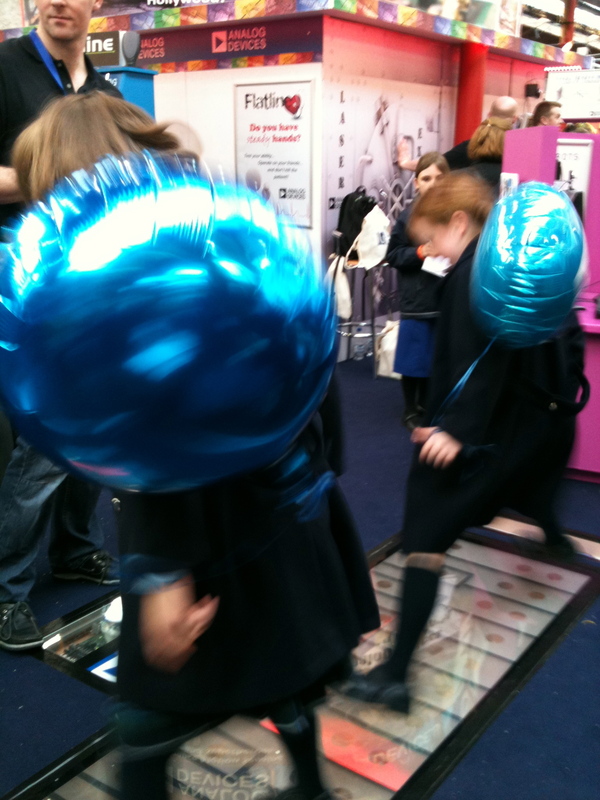 Musical circuit fun was next on the agenda as we got to try our hand at playing an oversize circuit keyboard. Dueting partners at the ready we danced and played to our hearts content. 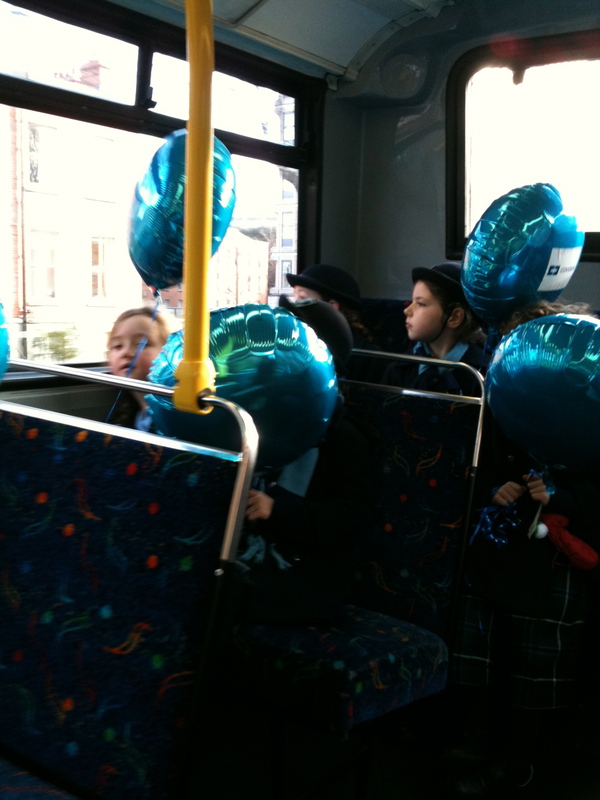 Body tired but mind full of fun and learning we took our helium balloons back on the bus to school to record our big science day out. The seniors on the bus go ....?